Ellington Field Air Force Base Sign. Image available on the Internet and included in accordance with Title 17 U.S.C. Section 107. Ellington Field. Courtesy of Sierra Nevada Corporation. Image available on the Internet and included in accordance with Title 17 U.S.C. Section 107. 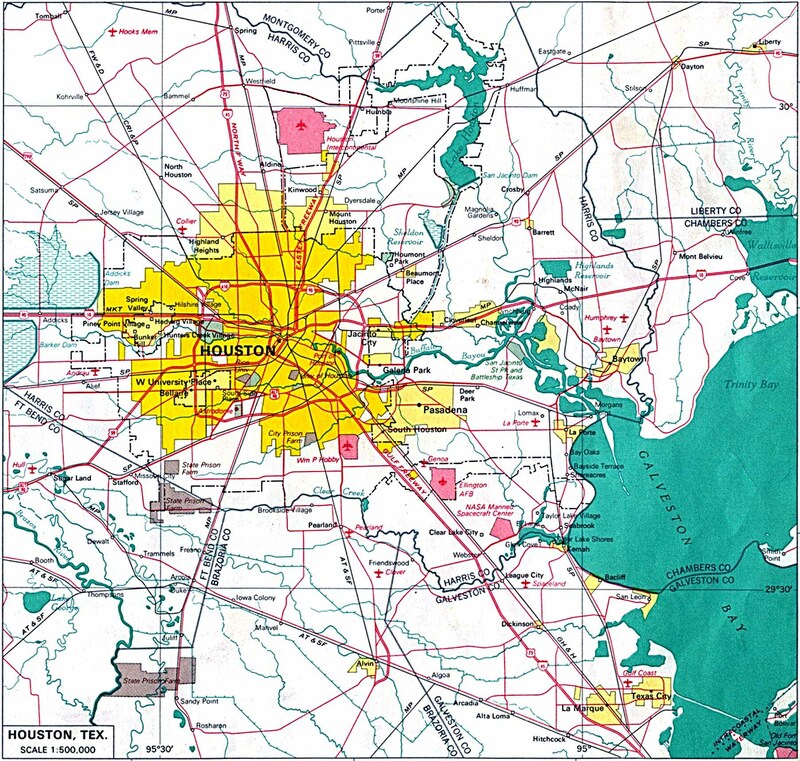 Map of Ellington Field 1970. Courtesy of the University of Texas Libraries. Image available on the Internet and included in accordance with Title 17 U.S.C. Section 107. ELLINGTON FIELD. Ellington Field, an aircraft-landing field, was constructed in 1917 on 1,280 acres of Texas prairie eighteen miles east of Houston, now in Pasadena. The first aircraft flew from Ellington on November 27, 1917. Since that time almost every type of airplane in the Air Force inventory has flown from its runways. The base was named in honor of Lt. Eric L. Ellington, who was killed in an aircraft crash in San Diego, California, in 1913. It was originally established for pilot and bombardier training. By April 1918 training at Ellington included dropping live bombs. The base was closed in 1920, and by 1930 the only remains were the concrete water tower and some concrete slabs on which small hangars once stood. In 1940 Congress authorized a program to rebuild Ellington. The new base was occupied in the spring of 1941, and thousands of pilots, navigators, and bombardiers were trained there during World War II. The base was inactive from March 1946 until 1947, when it became Ellington Air Force Base, a navigator-training school. The navigator-training wing was phased out in 1958. From the 1950s through the 1970s the base was engaged in pilot and navigator training for air reservists, air guardsmen, and navy, marine, and foreign students. NASA became a tenant in 1962. In 1984 the base was turned over to the city of Houston to be operated as a municipal airport, once again named Ellington Field. It continued to provide support for military reserve and guard units, as well as NASA and the Grumman Corporation for its aerospace activities. Houston Chronicle Magazine, November 1, 1987. Mark L. Morgan, "Air Force Bases: 1946–1987," AAHS Journal 32 (Winter 1987). Drury M. Phillips, "Ellington Field, Houston, Texas," Texaco Star 6 (July 1919). Handbook of Texas Online, Art Leatherwood, "ELLINGTON FIELD," accessed April 22, 2019, http://www.tshaonline.org/handbook/online/articles/qbe02. Uploaded on June 12, 2010. Modified on June 7, 2017. Published by the Texas State Historical Association.